Moseley Farmers’ Market happens on the last Saturday of the month in the center of Moseley Village. We have over 60 stalls selling a huge range of produce to cater for everyone’s needs; whether it be fruit and vegetables, cheeses and wine, pies and beer, or come for lunch and try succulent pulled pork or for the adventurous – Zebra! Everything available is guaranteed to be local and the produce is reared, grown or processed by the people selling: it’s a certified real Farmers’ Market. 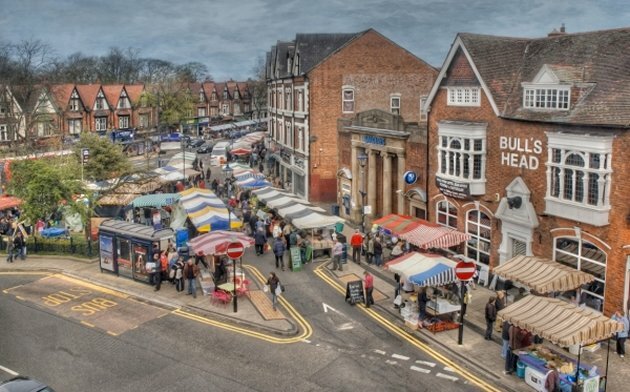 Aside from becoming the social meeting place for much of Moseley every market, It has won many awards, the most prestigious being the FARMA “Best Farmers’ Market in the UK” in 2009 and 2012 – the only market to have won it twice. 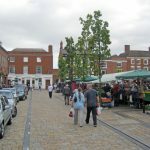 Lichfield Council is extremely proud to hold a Farmers Market on the first Thursday of every month. Our farmers and producers have risen to the challenge – they offer customers their expert knowledge of the produce, how it’s grown, how it is best cooked and even recipes are on hand. Our producers offer friendly service and care deeply about quality, freshness, animal welfare and the local community. 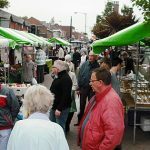 Come along to Lichfield Farmers Market on the 1st Thursday of every month and put the fun back into food shopping! HELD EVERY 2ND SATURDAY OF THE MONTH. A genuine Farmers market organised by Sketts in the main High St of Harborne in Birmingham. 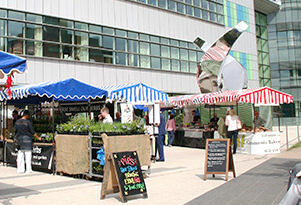 A thriving farmers market that is hugely supported by producers and public alike. All producers adhere to a strict criteria which includes a maximum radius of 50 miles. Check their website for full details. A thriving event offering a great choice of local produce.